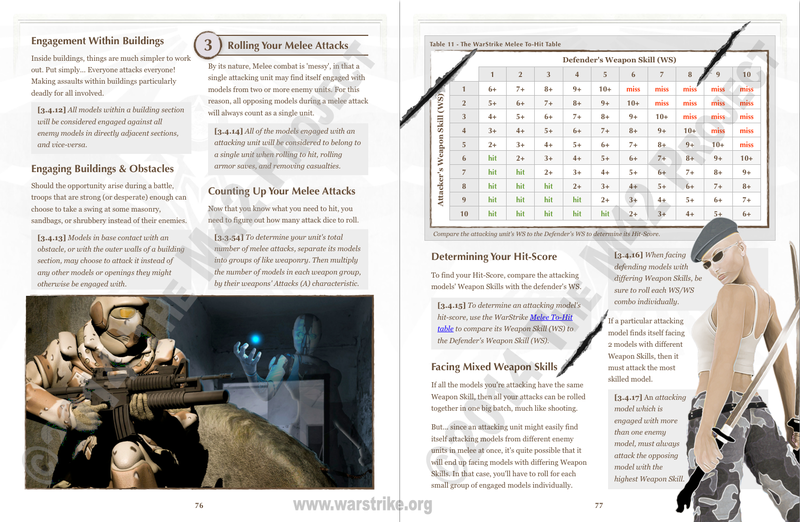 Here's the first page and a half of the Melee To-Hit section. You'll notice that the To-Hit content of the first of these two pages underwent some changes. Literally, these are my only choices for cutout-ready melee-weapon wielding figures of any kind. Visually, the page needs something to let the reader instantly recognize "Melee Chart", so Katana-woman and some slashes fit the bill better than anything else I have time to create for that impact. Without being as overtly sexualized as these other options.